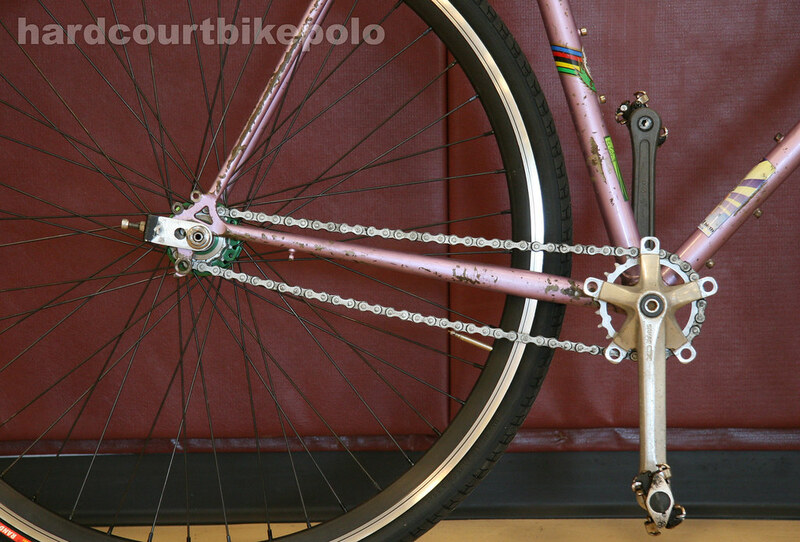 This entry was posted by Doug D on January 10, 2009 at 12:02 am, and is filled under Bike Polo, Bikes of Polo. Follow any responses to this post through RSS 2.0. You can leave a response or trackback from your own site. 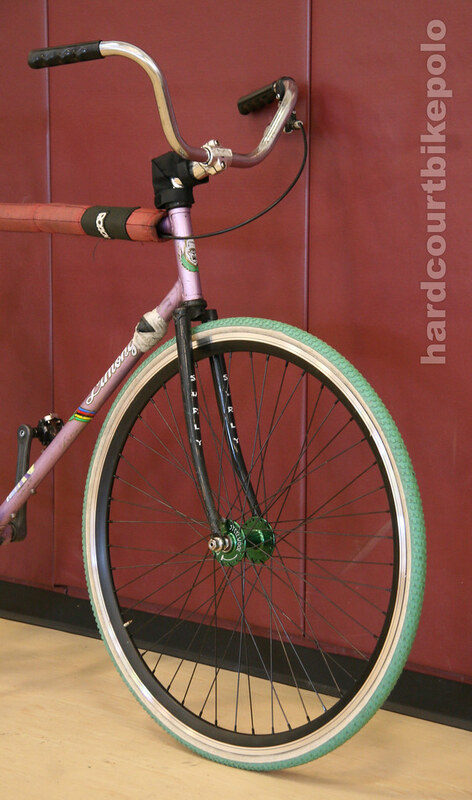 up bars and mixed rubber = AWESOME! there’s some touch of class thing happening here. 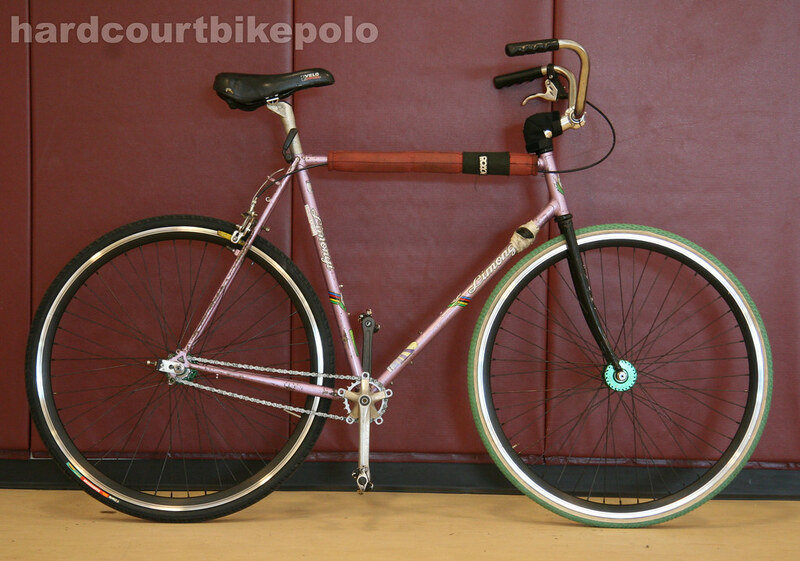 I’m feelin dis bike. huhhhhhhhhhhhh oh yeah there it is.